Tetlow King Planning (TKP) were involved in an important national initiative to develop planning guidance on how to assess and cater for the future needs of older people – the production of an Extra Care Housing Toolkit. 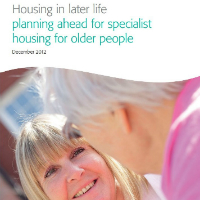 In the context of the rapidly ageing population; the changes emerging as a result the Government’s Localism Agenda and the production of the National Policy Framework; and cuts in public expenditure relative to both capital and revenue spending for care and accommodation provision for older people – the Department for Communities and Local Government (DCLG) is working with stakeholders to develop practical guidance to assist planning, housing and social services teams in planning authorities and neighbourhood forums. TKP has been instructed by the National Housing Federation, the trade body for housing associations, to represent it on the Steering Group set up by the DCLG charged with producing the Toolkit. Others represented on the on the DCLG Planning for Older People’s Housing Steering Group include McCarthy and Stone, Hanover Housing Association, Housing LIN, the Local Government Association and Age UK. As well as actively participating in the Steering Group and contributing part of the text (in collaboration with officers at the National Housing Federation), TKP also attended a discussion meeting on ‘Providing Greater Housing Choices for Older People’ at the House of Commons, chaired by Lord Lothian (Michael Ancram).